This project was located at Patrick Air Force Base, Florida. The worked consisted of hydraulically dredging the marina’s basin entrance channel per the contract drawings and specifications. 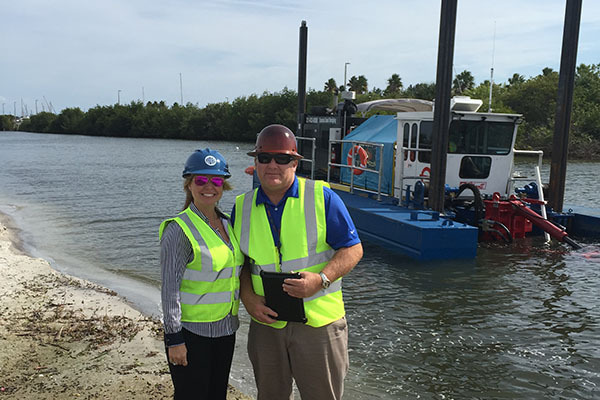 Sedimentation was monitored for compliance with St. John’s River Water Management District Notice of Intent for Construction Activities. The project also required coordination with the Marina to ensure it remained operational. This project was located at Cape Canaveral Air Force Station, Florida. The work consisted of installing approximately 8,100 linear ft. of fire water lines along Titan III Road in support of the 21st Century Launch Complex Investment Initiative. It also included a 1,200 linear feet boring under the fueling facility and invasive species removal (Brazilian pepper trees) from the waterline corridor. This project was located at Patrick Air Force Base, Florida. The worked consisted of hydraulically dredging the organics and sand accumulations from canal and pond bottoms in the Patrick AFB Golf Course. Sedimentation was monitored for compliance with St. John’s River Water Management District Notice of Intent for Construction Activities. The project required coordination with the Golf Course to ensure it remained operational. It also included restoration of any damaged areas and stabilization of the spoil areas. This project was located at Cape Canaveral Air Force Station, Florida. The work consisted of installing two functional replacement sanitary sewer lift stations located at the ITL Area at the SMARF and SMAB buildings along Titan III Road. The work consists of providing the sand filter media, support gravel, surface wash sweeps, and piping in three (3) sand filters at the Arnold Engineering Development Center water treatment plant. Additional work required included removal of existing sand, gravel, surface wash sweeps, and associated pipework and cleaning of the plenums. Contractor and Owner’s representative performed a visual inspection of the filter underdrains and plenums following removal of existing media to verify their acceptability. associated ductwork in the high bay area of Building 912 at Arnold Air Force Base in Tennessee. Hydra utilized existing roof penetrations, adding curb adapters where necessary and also utilized existing platforms for the ventilators. with concrete pad, protective bollards, and associated electrical to provide additional water service to areas of Site C-52S at the Eglin Air Force Base, Florida. Hydra Engineering & Construction was responsible for the replacement of the outdoor lighting fixtures and indoor electrical panels at the Aeropropulsion Systems Test Facility at Arnold Air Force Base in Tennessee. Hydra Engineering & Construction was the Prime Contractor awarded for this project, located at the Eglin Air Force Base in Florida. 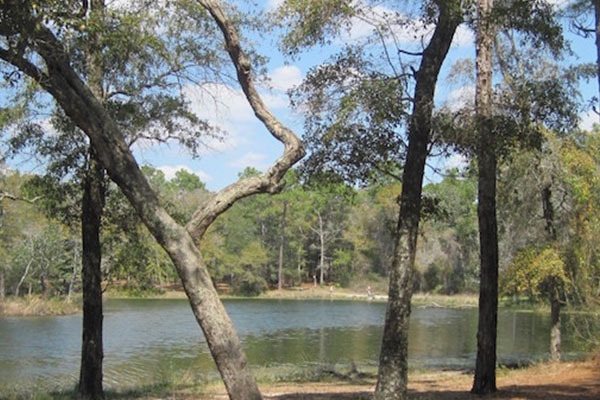 The project will consist of re-establishing the recreation area by rebuilding the earth dam in its previous location and replacing all necessary components, including a hiking and biking path over the top of the dam. Clearing and Grubbing, pollution and erosion control, mobilization and demobilization, clay core, corrugated metal pipe, rock riprap, geotextile, and outlet installation will be required during the construction process of this project.